Barako Coffee or Coffea liberica is a rare and exotic coffee species found in the Philippines. Brought by the Spanish from Brazil in the 1800s, it now exists in only 3 countries in the coffee producing world. 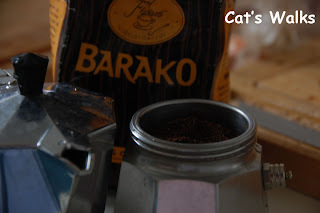 Barako coffee has a strong, bold aroma and a pungent, nutty flavor that I love. Unfortunately, my beloved Barako is nearing extinction. Programs trying to revitalize the Philippine coffee industry are on their way but public awareness and participation is neccesary. So, everytime I go home I make it a point to buy as much coffee as I can carry in my luggage for personnal consumption and as a gift to my coffeholic colleages and friends. Even my husband prefers Barako to Lavazza now. Nothing can compare with Barako's powerful body and smooth flavor . Recently, I started brewing Barako the Italian way. 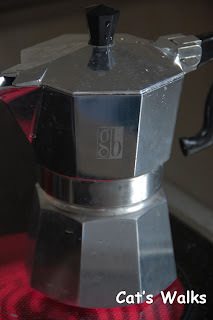 Ninety percent of Italian households brew coffee using the Moka machine. Brewed this way, the flavor of Barako becomes deeper and more intense. It is unbeatable! It is so much better than Nespresso. The moka machine is cheap too! No need to buy a very expensive espresso machine. For 20USD (18 sfr) and a bag of Barako coffee, you will get the ultimate coffee experience. But be warned this coffee is not for the sensitive. Afterall in the vernacular, "Barako" is a term that refers to male strength, vitality and machismo. Hi, so happy I found your blog. I think I can spend some good hours here going through your archives. :) I also have this machine which I bought while living in London. And yes, it isn't for the faint-hearted. I alternate it's use now with a regular coffee machine (use this when my other family members and friends will be having some coffee too). What I really love about Italy and the Italian way of life is the Italians live life with love and enjoy every minute of it! 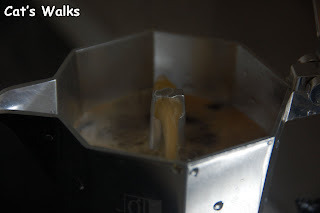 I found another great post on Italian coffee, which you may like here: http://www.italytravelnotes.com/2007/12/26/a-quick-guide-to-speciality-coffees/ Hope you like it! I agree with you. Italy is one of my favorite countries in the world (after Philippines ;)of course). I also think Italians are great--they have so much passion and love for life! 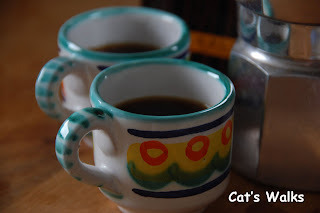 I have another blog www.catswalks.blogspot.com that tells about my travels around Europe. You will find more entries about Italy there. /A coffee-nut in Sweden who REALLY would like to try this coffee! That would be really nice if you could do that! But until then, I will keep on looking and if I find someone who will ship to europe, I'll let you know! Lets continue this over email instead! I'll send you an email!